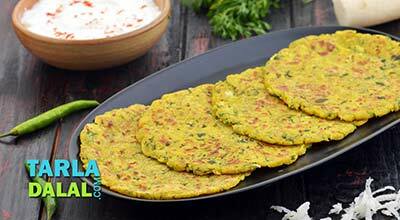 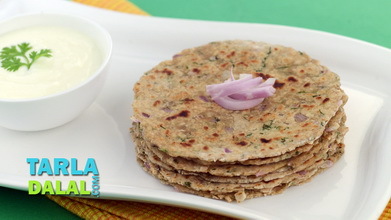 Methi and cauliflower add an interesting little twist to the traditional plain jowar rotis. 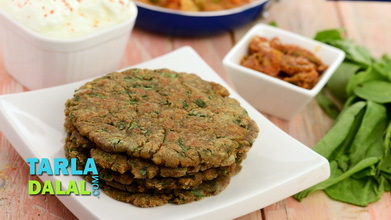 The healthy rotis along with a bowl of low-fat curds and khichdi makes a complete nourishing meal for diabetics and people with heart disease. 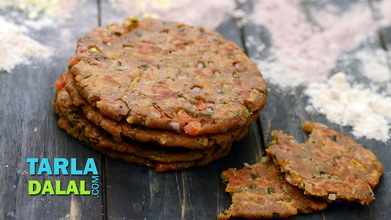 Divide the dough into 8 equal portions and roll out each portion into a 75 mm. 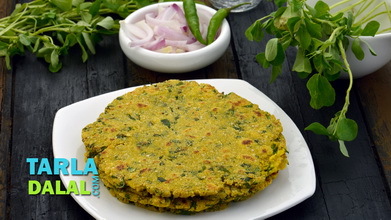 (3") diameter circle, using a little jowar flour. 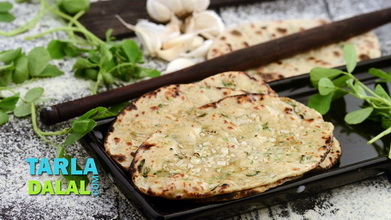 Heat a non-stick tava (griddle) and cook the roti, using ¼ tsp of oil, till brown spots appear on both the sides. 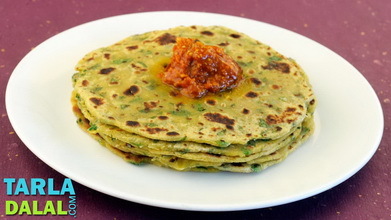 Repeat with the remaining portions to make 7 more rotis. 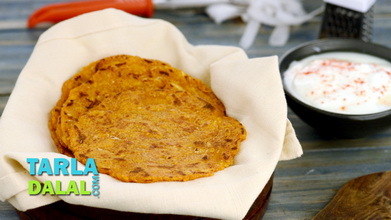 Serve hot with fresh low-fat curds.